Cooking is one of my favourite things. I love old recipes, new recipes, fusion recipes, random recipes and more! I have a whole section on cooking, so I won’t go into too much detail here! I’ve had a camera since I can remember. And I’ve always loved taking photos and looking at the printed ones over and over and over again. Maybe because my memory is so bad! Unfortunately my camera was stolen a few months ago and, besides losing a whole batch of animal shots, I am now physically unable of taking photos…and don’t have enough money to buy myself a new one However, I’ve been taking photos for so long that there is more than enough material to keep you entertained (for days). Here you’ll find a whole selection of photos! Creating things is something I love. Even though I don’t consider myself a true artist, I like doing it and sometimes have a discrete success. This website’s crafts area has some examples of the things I created. If you take me to a museum, you’ll get the feeling that I don’t really like art. But I actually do, a lot. I just like very specific art, and am very picky with my praise. And then, there are books. In the last few years, I’ve read very few books – I think it’s simply a question of time management and priorities. However, the ones I did manage to read were all amazing! Here is a list of some that I thought were worth a post: books! Somehow, and I’m not sure why, I have been completely absorbed by volunteering. Volunteering takes up most of my free time and, when I’m unemployed, become a full-time (non paying) job. Obviously, otters are my main focus. I’ve been working as a volunteer for the IUCN-SSC Otter Specialist Group for nearly ten years and am currently in charge of the very successful Facebook Page, Instagram profile, website (changes and uploads, not original layout). Together with other members of the management team, I’ve driven strong donation drives, created original education material and helped organise conferences, workshops and “otter days”. 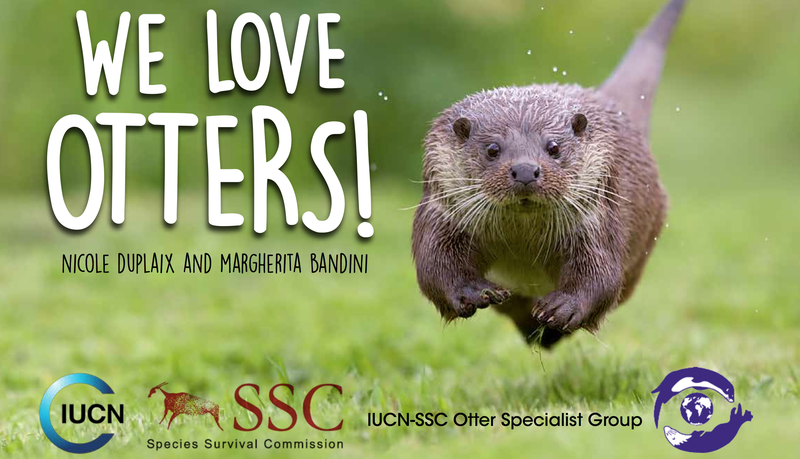 Through to the IUCN/SSC OSG I am now helping Lontra Italia – the Italian Otter Network to grow in the country, with workshops, creation of material in Italian and (fingers crossed!) more substantial projects in the near future. Although the African Otter Network is not part of the IUCN/SSC OSG, the management board I am part of is composed mainly of OSG members. This group is growing really quickly and I am in charge of the social aspect (Facebook, website) and creating original content (leaflets, posters, infographics etc). We are in constant contact with researchers in various african countries that work for otter conservation and research and rely on us for information, advice and funding. Some personal posts you might like to read to see what I’m like and some gardening posts to help improve your balconies, terraces, patios or gardens. If you’re more interested in my professional life, here is my linkedin page!